Who Pays for Bad Quality? Is there a Solution? Nobody is against Quality. Particularly, when you wear the hat of a customer. At a personal level. I would like to remind you that your purchase department wears the hat of a customer in the eyes of your suppliers. 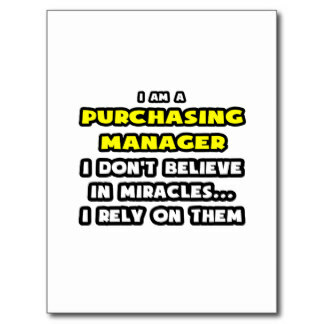 So the basic question is: Does your purchase department conduct itself as a world-class customer with your suppliers? This question is directed at private as well as governmental organizations and institutions. We fail as an organization when we purchase goods, based on lowest price offered by alternative suppliers. We succeed when we purchase process capabilities of suppliers for the goods we require. When we purchase goods at the lowest price we invariably also purchase incapable processes. Incapable processes generate substantial waste, frequent rework, over inspection, etc. These wasteful costs, referred to as Cost Of Poor Quality (COPQ), are factored into the suppliers’ pricing. So who is paying for the suppliers’ inefficiencies? You, the purchase department. What is the order of magnitude of COPQ traceable to the purchase department? At least 10% of total costs!!! Ultimately, who pays for your purchasing inefficiencies? Your customers. This is a guaranteed method for losing customers and market share!!! Particularly if you are nursing a global vision. Now, does it not make sense for a ‘supplier process capability’ mindset to sink into the top management of goods and service providers in private and governmental organizations? Some organizations that have benefited from addressing COPQ in the purchase departments are: Tata Steel, Mahindra Tractor, L&T, Maruti Suzuki, Marico, and more.